First, if you have not already, register for my giveaway of the Orly Flash Glam FX Collection. OK, now that that's out of the way. 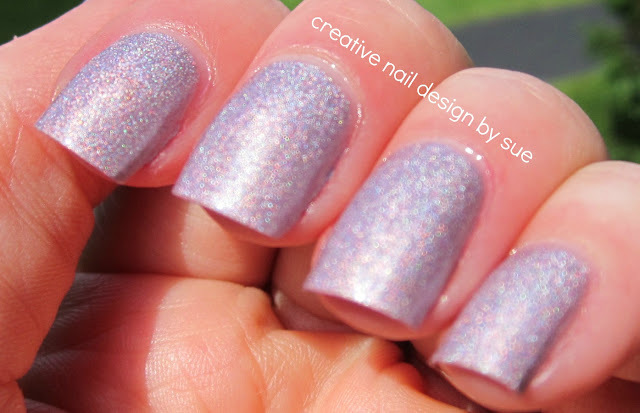 Here is a quick post of Color Club Fasion Addict. I saw a swatch of this a month ago and dropped it on my wishlist. I am glad I got it. i am always happy with the application of Color Club polishes and this one was no different. Also, the polish stayed on with NO chipping for nearly three days. That has to be a record for me and a holo. Here is another pic in the sun a little blurry. I love that color. I'm going to have to try color club one of these days. Man I really need some Color Club polishes. This looks so pretty! I have two of these and absolutely AFORE it! Such a beautiful mani and nice pictures too! My holos always chip prematurely too, but they're totally worth it lol.